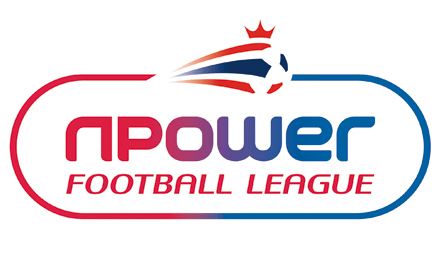 League Two is more exciting than ever this year. Not for the title race: Gillingham seem certain champions-elect having already secured promotion. Even though third place, that grants automatic promotion, is still open it is the relegation battle that is most compelling. Usually in the professional English leagues, one or two teams are cut adrift at this so-called “business-end” of the season, requiring an unlikely surge in form and fortune to escape relegation. Not in the Championship. Bristol City are destined to League One next season; two others will be relegated. Yet with a mere five games remaining just eight points separate second bottom 23rd from 9th place. An average of five games must still be played by each team. Perhaps less covered is the dramatic tension in League Two. Only five points separate bottom place 24th from 18th; two teams will be relegated. This is a remarkably close gap with just three or four games remaining for most teams – especially so as last-place Aldershot have two games in hand, which will likely tighten the gap further. Indeed, Dagenham and Redbridge are only five points from safety in 17th. It is intriguing in League Two especially for its rarity. In an overwhelming majority of seasons, at least one team is cut woefully adrift at a comparable stage. This makes the relegation battle far less treacherous because the likelihood of going down is halved. All the following teams were moribund at a corresponding point to now; all were eventually relegated. Two seasons back, in 2010-11, Stockport were eight points from safety and doomed. In the year previous, Darlington were fully 21 points behind (albeit with games in hand), and relegated even with six games to play. Luton Town – who were deducted an impressively high 30 points for misconduct in paying agents via a third party – were 13 points from safety and went down in the 2008-09 season. In 2007-08, Wrexham had a nine point deficit at this stage, ultimately finishing bottom. The 2006-07 season saw Torquay United die a slow but inexorable death, the gap progressively widening. Only in the previous season, Torquay had managed to dramatically resurrect themselves by claiming 13 points in the last six games after being five points down. Last year, 2011-12, was a slightly different story, in that three teams were isolated – Hereford, Macclesfield and Barnet – within four points of each other. This year, the sheer volume of teams in potential trouble increases the tension; numerous sets of fans are worrying. What makes this pattern of isolated teams so consistent is confusing. It might be expected that promoted teams would struggle, especially as the transition for many is from the largely semi-professional Conference to full-time professional football. Yet, astoundingly, never since the old English Division Three was re-branded League Two for the 2004-05 season has a promoted team been relegated the following season. Not once. This compares to the Premier League, where in the last 10 seasons 40 per cent of promoted teams go straight back down. Indeed, Carlisle were League Two champions in 2005-06 after coming up from the Conference. A further three other teams – Exeter City, Stevenage and most recently Crawley Town – have been promoted after just one season in League Two. All four teams remained in League One the following season after successive promotions. The promoted team struggling to acclimatise is therefore the wrong hypothesis for this trend of team(s) to be cut adrift in League Two. It is difficult apart from in the exceptional case of Luton to explain this pattern. Whatever the reason for it, this year it has not occurred. The current constitution of the league is unique. Interestingly, most teams in and around danger are relatively high up in the form table for the last six games, suggesting that even more teams will be sucked into this most intriguing of battles. Who will be relegated? Nobody knows. Most of the teams at risk are surprisingly inconsistent. Consequently, any eventuality is possible: predicting relegation is a fool’s game. It will likely be settled on the final day of the season in a few weeks. It is possible that York City, currently 23rd, could become the first promoted team in League Two history to be relegated the following season. I saw bottom-placed Aldershot Town live earlier in the season and they were woeful, especially in attack – but they have prized games in hand. Will Dutch legend Edgar Davids mastermind his Barnet team to safety? It increasingly seems so, with eight points in the last six games. Can young and inexperienced manager Neal Ardley hold his nerve at AFC Wimbledon? Speaking to Wimbledon fans, they are confident; I have seen small but important improvements since Terry Brown departed early in the season. But the Dons are chronically inconsistent and have only scored in one of their last five games – they are in massive danger. Accrington Stanley perhaps showed a decisive trait on Saturday: tenacity. After a good run of form, they salvaged a point with a Manchester United-esque last-minute equaliser at fellow-strugglers York. This spirit, and the point, could be crucial. Can Plymouth Argyle prevent a rapid demise from Championship to Conference in three successive relegations? Perhaps: Argyle sit an impressive third in the form table. Or will Torquay United be relegated, again? After consecutive wins, they have lost their last three, which demonstrates the inconsistency similarly haunting many. Now is a perilous time to contract bad form. Perhaps only one thing is certain in this relegation battle: you’ll want to watch the conclusion. Perversely, it is in the worst of the 92 English league teams where the excitement and anticipation is at its most intense.